I can upload any image you want inside my poi! Your company logo, your artwork, even your daughter who is turning 16!! With over 12 years of expereince with poi and flow arts, The Human Disco Ball is sure to impress an audience of any size and age range with a spectacular show of a multitude of props, incorporating crowd work and photo-ops! 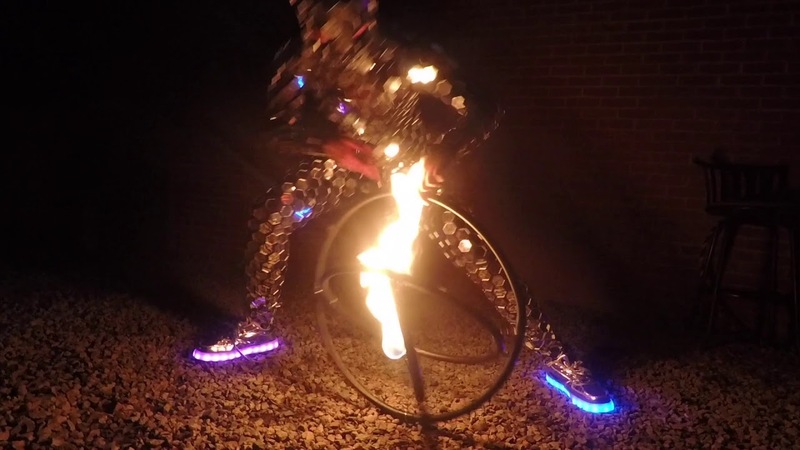 I provide a dazzling display with a full-body mirror suit, and a selection of LED and fire props. 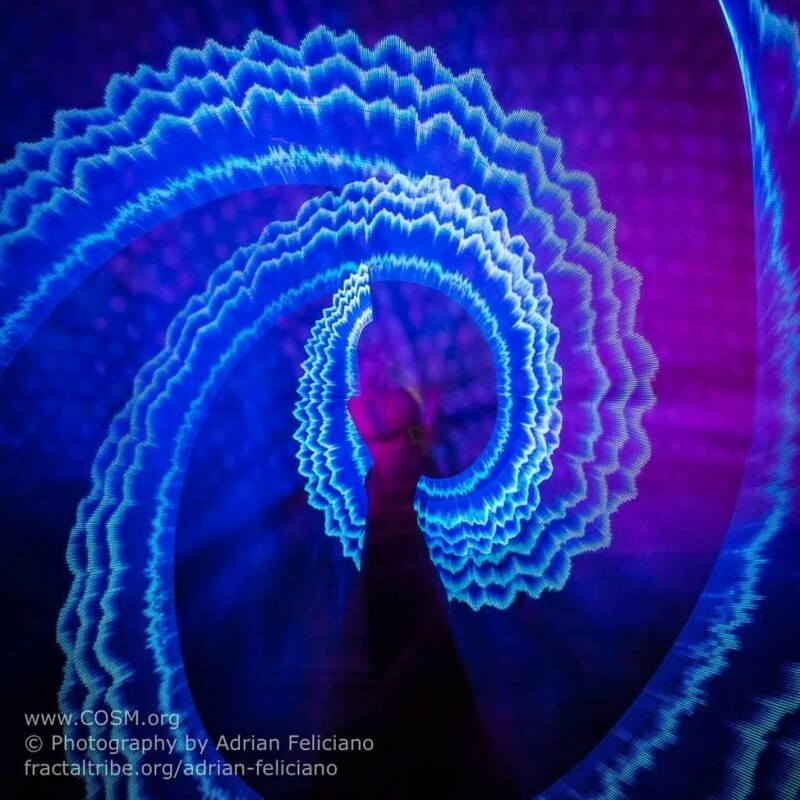 My act includes poi, floating wands, hoops, and LED wings, sure to impress and bring excitement to any private or corporate event. I can also program images of choice to display in my high-definition poi to fit the theme of any event. The best performance I’ve ever witnessed! I saw Kai at the I Love Chocolate Fest, and the highlight of my day was seeing the performance! Spectacular! She also took pictures with kids and really seemed energetic even though it was dull and rainy out. Coming back next year just hoping to see her again! Kai had great communication up to and day of our party. The performance was absolutely amazing. Kai is great. Amazing costume, movement and technology. Our guests were amazed and are still talking about it a month later. One showed me the camera video he took today. Highly recomnmended! Kai performed a two part show with each part equally pleasing to the audience. I entertain multiple times a year with many different types of performers, and can honestly say her show was the first experience of that kind for my guests. Oh, and did I mention she tuffed out a miserably rainy,cold and muddy day with a smile ! Thanks Kai! Kai the Fire Ninja put on a wonderful show, captivating the audience. We hope to have her back next year. The show was a surprise for my husband st our wedding. Kai came in and found me just like a ninja and he didn't suspect a thing. The show was beautiful!! Very talented and flexible. We were amazed by some of the moves. Very profession and performed even though it was drizzling out. Would recommend them to anyone and would hire again. We were truly entertained. Saw Kai at a club,amazing performer ! Insurance: $1,000,000 - Commercial general liability.... Each occurrence - 1,000,000. Damage to rented premises - 300,000. Medical expenses - 5,000. Personal and advanced injury - 1,000,000. General aggregate - 2,000,000. Products - COMP/OP AGG- 2,000,000. My flow art provides creative manipulation for visual stimulation. I have lots of energy, smiles and uniqueness! Kai is a self-taught Flow Artist and string artist. Kai began spinning poi at the age of 14 to incorporate into her Polynesian dance recital. She quickly realized that she had a natural act for prop minipulation which later lead to her studies in Kenpo martial arts. She got her first fire poi at the age of 16 and when she lit them up for the first time, she knew it's what she wanted to do for the rest of her life. "The fire possessed me, and I became the fire, full of high energy, warmth and light", she says. She has performed at many EDM events, festivals, private parties and clubs around the North East Region in the past decade. She enjoys sharing her passions and teaching others the art of flow. Though poi is her strong suit, she also dabbles in belly dancing, staffing, nunchucks, hooping, mini-hooping, rope darting, fire-eating, multi-orbiting, isis wings, flow wands, gloving and just about anything she can get her hands on. 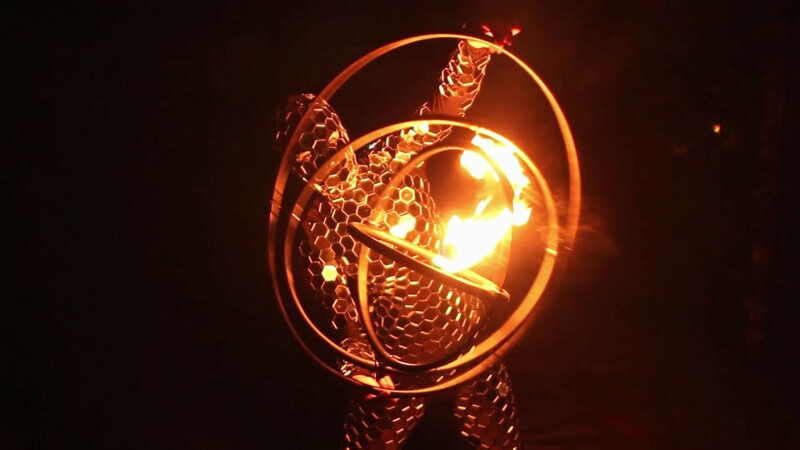 Kai also received some national recognition, when she appeared in an episode of Impractical Jokers called "The Great Escape," spinning her LED poi with AI Cats Studios. 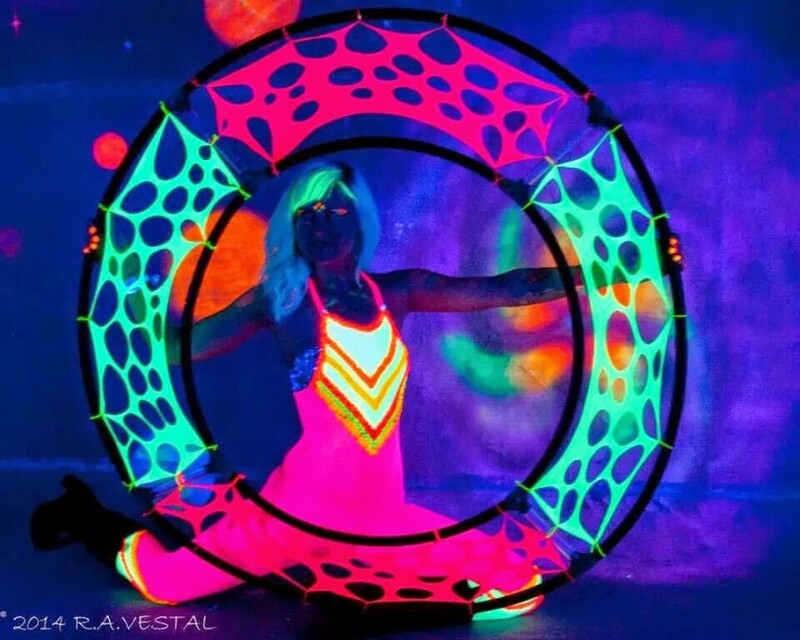 Kai also fabricates unique hand-crafted hoops, poi and UV reactive interactive string art installations. Christine, who saw Kai perform at a festival once, put it best when she said "She is talented, graceful and mesmerizing." She is most known for her incredibly fast spinning technique, earning her the nickname,"The Fire Ninja." Her newest human disco ball act will be sure to dazzle any event! 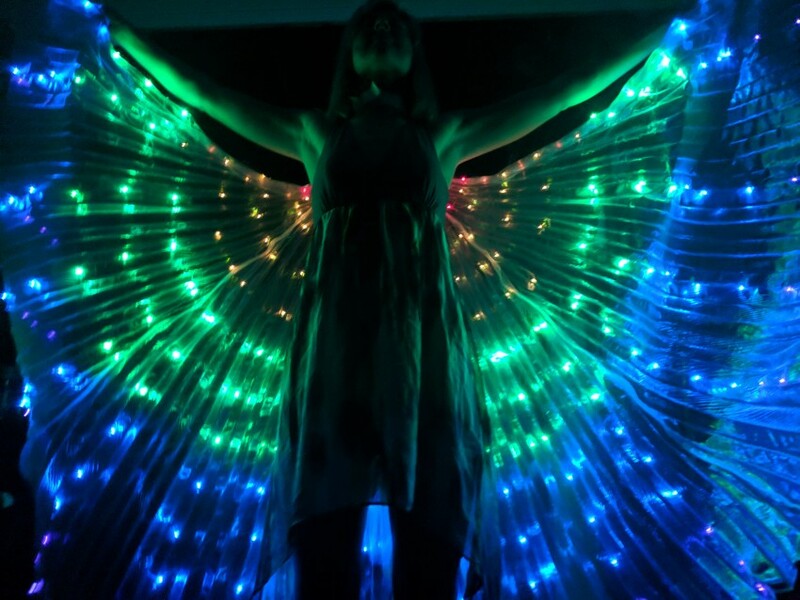 The act consists of lasers, LED props and poi that she can program any image or text of your liking in for a truely customizable and memorable performance!! I need a decent size space on the floor (no little platforms) to do most props. I can dance on small platforms but am limited to what i can use. Sound system - DJ playing music or ability to plug in to an AUX cord.